I didn’t know, so I checked my app. Thanks to the loose grammar of the Shebb language, the poem Fasfa (the eponymous dragon) was either an epic or a farce. The colonists were willing to use the old, crumbling cities for shelter & didn’t understand why the indigenous nomads were not. Terrified, the Dream turned to regard the cat on the bed. The cat could see it. If the cat woke its human, the Dream would die. Crops were good, the border was secure, and the villagers enjoyed all sorts of artistic pursuits. Then the wizard fell ill. The villagers opted to build an arcane-looking tower on the overlooking hill, like a scarecrow for superstitious bandits. Maybe. But there’s no app for that. The one about Dream regarding the cat? That’s the one I liked best. Thank you very much! I’m glad you liked that one. 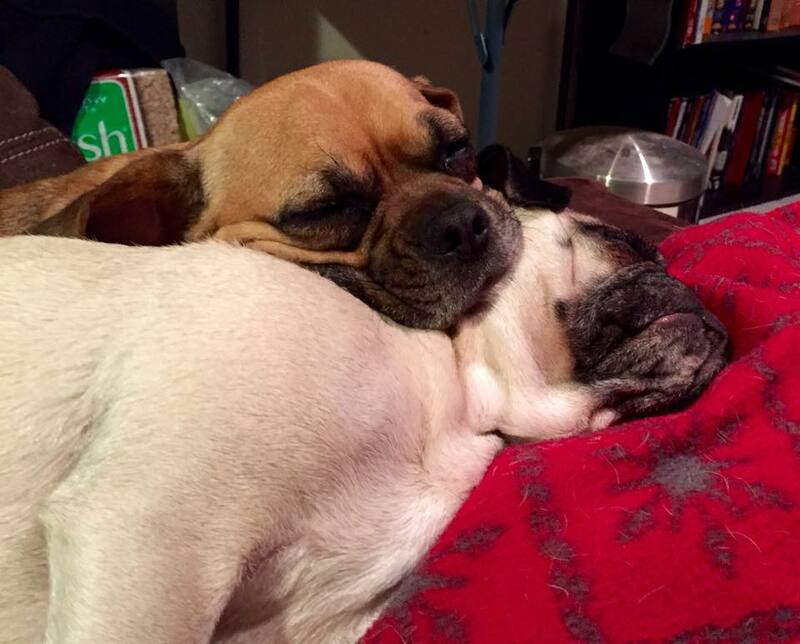 Chichi Peanuts…The adorable Duo! 😀 Great post Patrick! “An epic or a farce” – yes! I also second on the Dream and the cat. And the moral of the story is, don’t live with cats. 🙂 Thanks, Pat! Oh, Sue. If only I had learned that lesson three cats and two dogs ago. And I’m glad you liked my MicroStory about how important nouns and verbs and direct objects are. If I ever write a fantasy novel, I want to have a group that’s casual about such rules.